This is a casino gambling dictionary which provides several terms that you will find at online casinos. Most of the terms available are relevant to gambling. This dictionary is also essential for those who are starting to learn how to play various casino games. All-In – This is usually a term used in poker when a player no longer has chips to continue betting with but the hand is allowed to stay in. The player is able to put all his or her money into the pot even if the amount does not cover the total amount of bet required by the table. The player will no longer be betting. Action – This is when a player places money in the pot. It is basically the money that is being wagered by the player. Active – A player who is still in the game. Aggressive – In poker, this is the term used to refer to a player who plays by raising or re -raising his hand. Anchor – This is a term used in blackjack referring to the player who is sited last position before the dealer. Actually, in blackjack, the last person to make the final decision is known as the Anchor. Ante – This is a fee that each player would have to make before they are dealt with cards on the table. Stud games are the card games which usually require the ante. Baccarat – This is a card game where players would have to bet on either two hands the Player or Banker. The Player hand or Banker hand should total to 9 or a number close to 9. Bankroll – The total amount of money that a player has got during a gaming session. The amount of money that a player is willing to risk with. Bankroll is also known as the players risk money. Behind The Line – This is a term used in craps referring to the free odds bet made behind the Pass Line. Bet – Gamble or Wager. This is the amount of money wagered by a player on any casino game. Big 6 And Big 8 – A term used in craps to refer a bet placed stating that the shooter will roll 6 or 8 before a 7 has been rolled. Blind Open – This is also known as the small blind. The first compulsory bet made by a player sited left to the dealer button. This bet is half the amount of the early bet required by the table. Blind raise – This is also known as the big blind. This is a compulsory bet that is made by the second player left to the dealer button. The bet is the total amount of the early bet required by the table. Bluff – A technique used by players so as to deceive opponents to make them think that your hand is very stronger than theirs. Board – This is a term used in poker referring to the cards that are shared by all players. These are cards that are placed on the center of the table face-up(exposed) and they are also known as community cards. Boat – This is also known as a Full House, a hand consisting of a three-of-a-kind and a pair. Bounty – This is a bonus prize that is awarded to a player for defeating another player. Bounties are not available to all online poker games and tournaments. Bonus – This is the additional money that is given to a player by the casino. 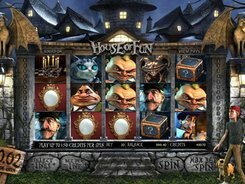 Various casinos can offer bonuses such as sign up bonuses, deposit bonuses and so on. Call – This is a term used in poker referring to a bet made by a player that matches to the highest bet in the pot. This is a bet made by a player is s/he is staying in. Check – This is a poker term at which a player is able to make a bet without placing any money in the pot. Come Out Roll – This is a term used in craps referring to the initial roll after a point has been made. Credit Button – This is a term used in video poker referring to the button which allows a player to bank his or her coins won and also to make use of the credits without depositing more money. Don’t Come Bet – This is a term used in craps referring to a bet placed on the Don’t Come Bar. Don’t Pass Line – This is a section on the craps table where the Don’t Pass bets are placed. It is also known as the back line. Double Down – A term used in blackjack to double your bets or wagered amount. The double down cannot be done after a player makes a hit. Draw – A term used in draw poker where players get to discard their cards and the dealer replaces the card. Drop Box – A section on the table where there are the markers, cash, and chips. Face Cards – The jack, queen, or king of each suite. Insurance – A term used in blackjack when a dealer’s face-up card is an Ace and player are able to buy insurance that the dealer has got a blackjack. If the dealer does not have a blackjack then players lose their bet insurance but if the dealer has a blackjack the payout is 2-1. Loose/Tight Slots – A term used in slots referring a machine with higher payout over a period of time. Mini -Baccarat – A baccarat version which is played by a few players but making use of the same rules as baccarat. Point – A term used in craps for the number rolled on the Come Out roll. Pot – A term used in poker, this is where players get to place their bets and the pot is situated at the center of the table. The pot is awarded to the player who has the highest hand. 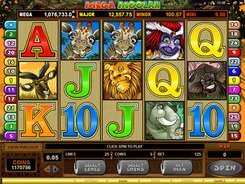 Progressive Slots – These are slot games whose jackpot is not fixed and it keeps increasing every time a coin has been played. Qualifier – In poker, this is the amount that is required to meet the minimum bets required by a table. Ring Game – This is a term in poker referring to the regular poker games excluding tournaments. Show Down – In poker, if two or more players remain in the game after the last betting interval (river) players would have to show (expose) their hands and the pot is awarded to the player with the highest hand. Spot – A term used in Keno referring to any number that is selected on the ticket. Stickman – A name given to the dice dealer who controls the stick and also calls out the numbers rolled out. Straight Flush – A poker hand consisting of five cards in a sequence of the same suit. Wild card – This is a term referred to a card such as a joker or any other card used which is not part of the 52 cards in the deck.